No teaching credentials? Get TEFL certified online to qualify for more public school opportunities! The TALK program is for western students who have completed 2 full years of university education and are looking to take a gap year (6-12 month terms) in South Korea. If you’ve already graduated with a bachelors level degree (or greater) and you’re looking for full-time paid teaching jobs that are funded by the Korean government then please visit our EPIK Program page. Please be advised: Gone2Korea does not recruit for the Talk Program in Korea. We have added some limited information and outgoing links to help those who are interested; however, we do not represent this program nor are we familiar with the specifics of the program. 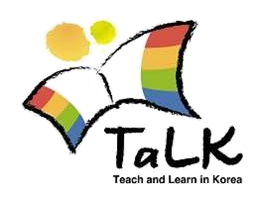 Program Description: The Teach and Learn in Korea (Talk) Program invites young, adventurous college students and recent graduates to teach English to elementary school students living in the rural areas of South Korea. Funded by the Ministry of Education, Science and Technology, the Talk Program aims to cultivate a strong desire to learn English through the use of innovative and engaging classroom teaching methods designed by the program’s participants. While teaching, participants will have the opportunity to learn about the many facets of Korean culture and find time to travel to distinct regions of the Korean peninsula. Talk is the perfect program for those who desire to be global leaders, who seek to gain personal and professional enrichment through teaching, and who are highly adaptable to new environments. Talk then please visit the Talk Homepage for details.